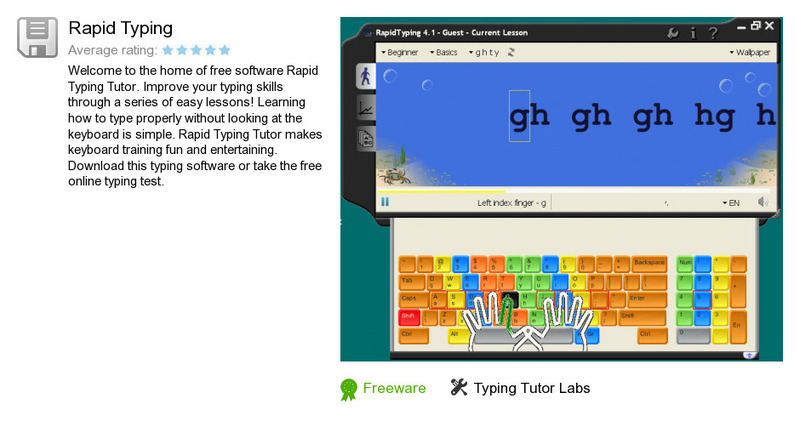 Rapid Typing is a product developed by Typing Tutor Labs. We know of versions 5.0 beta, 4.6, 4.5, 4.1, 4.0. Version 4.6.6 is downloadable at our site. Rapid Typing distributive has a size of 9,448,558 bytes.